The Minions are back and ready to come to a wall near you with the Minions The Movie wall decals from RoomMates! Removable and repositionable, create your favorite scene from the movie on your wall in minutes. 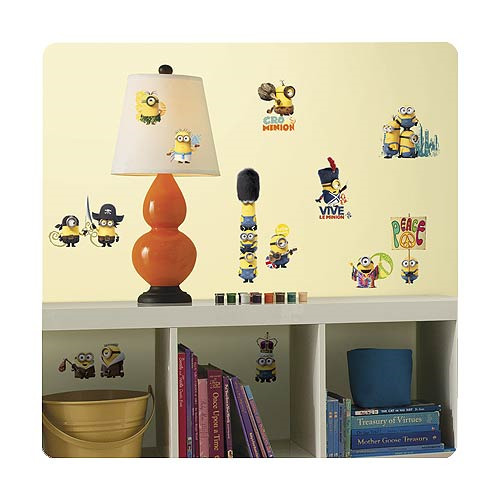 A unique way to spice up an empty white wall, these Minions wall stickers are an affordable alternative to decorating. These 16 decals range in size from 2 3/4-inches wide x 5-inches tall to 3 3/4-inches wide x 16 1/2-inches tall. Ages 8 and up.